The Oluz Mound near Amasya, Turkey, is a very important ancient Turkish settlement with a history stretching back to 4,500 B.C. For archeologists, this site in Central Turkey is an exciting opportunity to discover not just the area’s history, but the history of the birthplace of civilizations. Previously, a ground-penetrating radar (GPR) survey was used to describe what was underneath areas of the Oluz Mound. Because of the area’s extremely conductive soil, the GPR survey couldn't give reliable, clear information about the arch remains archeologists were looking for—this geophysical method was not helpful, and other options were pursued. In 2014, our client was hired to help with ongoing archeological excavations and show possible structural extensions or new remains on the site by using the geophysical electrical resistivity tomography (ERT) imaging method. 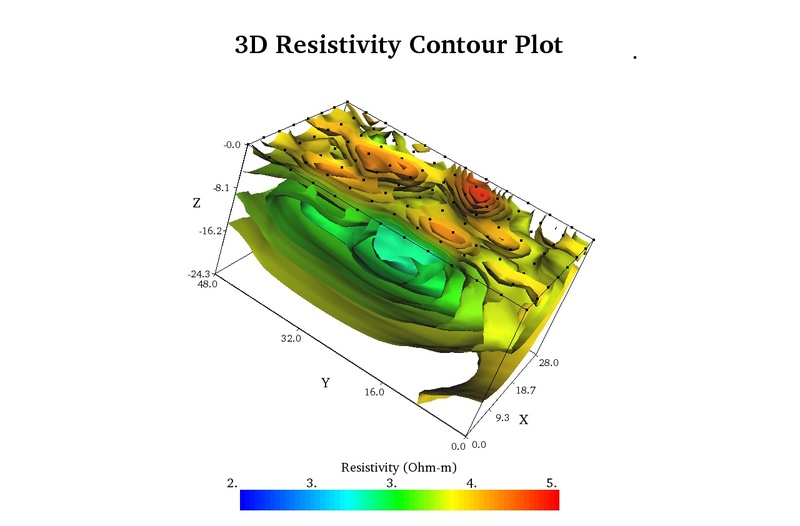 A 3D electrical resistivity imaging electrode layout of 13-by-8 electrodes was placed on the ground surface of the ancient archeological site. A total of 104 electrodes on the grid were spaced symmetrically four meters apart. The 3D survey grid dimensions were 48 meters by 28 meters, for a total study area of 1,344 square meters. The AGI SuperSting™ Wi-Fi resistivity instrument with a 56-electrode SwitchBox was used, along with EarthImager™ 2D and EarthImager™ 3D. The pole-pole array was used to collect the 3D electrical resistivity imaging data set. These instruments successfully used ERT to show archeological anomalies in the mound. 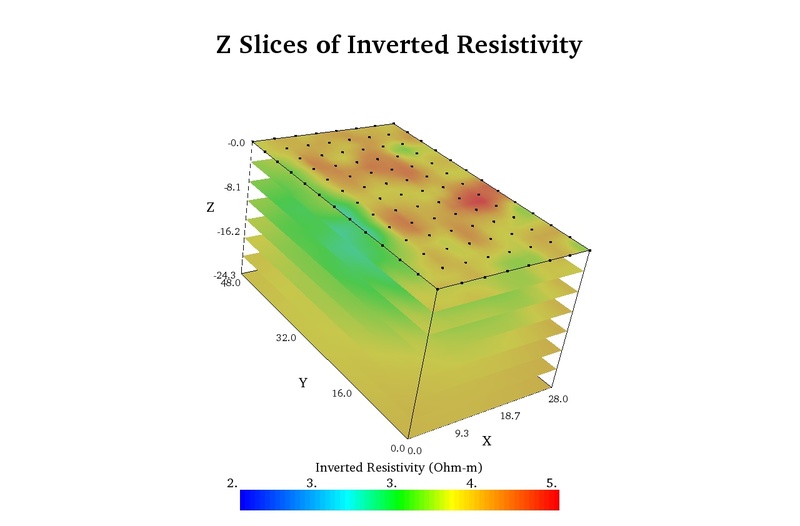 In the images, you can see the red and yellow colors, which indicate higher resistivity values—they correspond to possible walls. 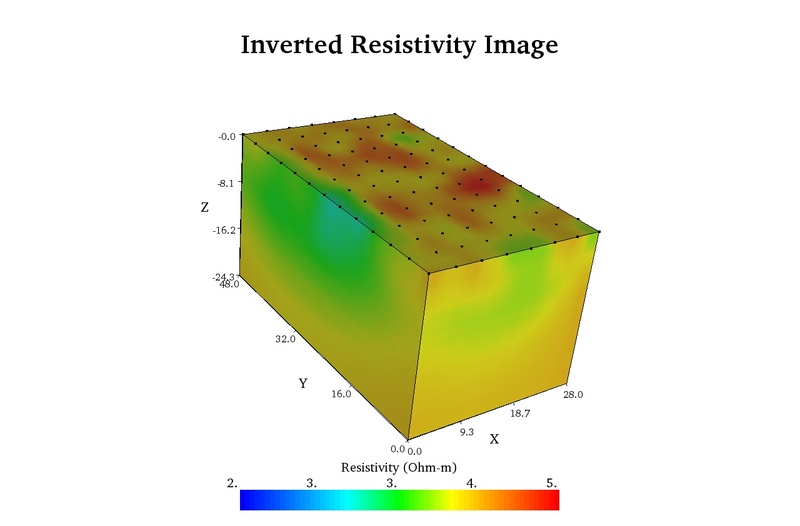 The blue and green colors in the images indicate low resistivity values, which mean the area is soil. With this information, archeologists and researchers learned the wall did continue in the unexcavated area, and they knew the exact locations to begin excavation. With this information, they could begin the excavation process and search for remains in the wall. The client also learned from the ERT data that the wall anomalies coincide with the ground-penetrating radar survey results. Accurate. This survey was additionally interesting because of the 3D images used—usually, only 2D or one-line analysis is used. Using 3D provides a combination of information that is helpful for archeologists, universities, and researchers, because they know precisely where to dig and excavate. Adaptable. 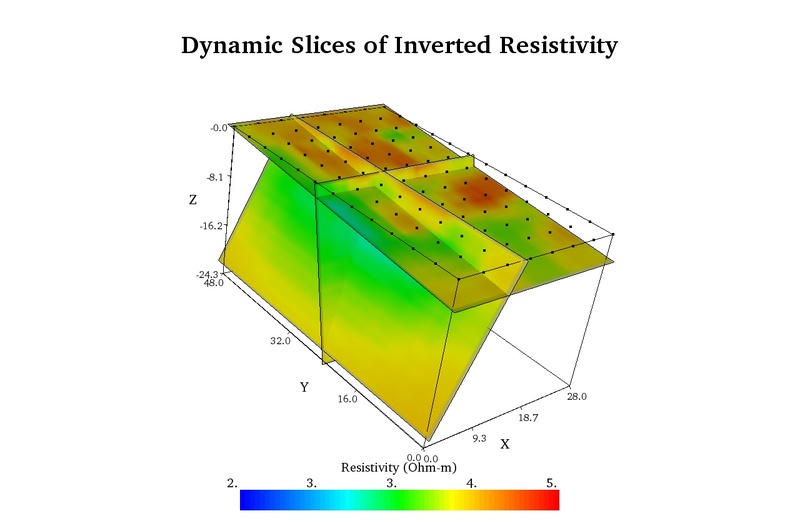 Unlike radar, resistivity imaging works in applications from salt water to clay soil, sand, gravel, and hard rock—this wide variety of ranges means archeologists can use resistivity to find clues and artifacts underwater, underground, and everywhere in between. 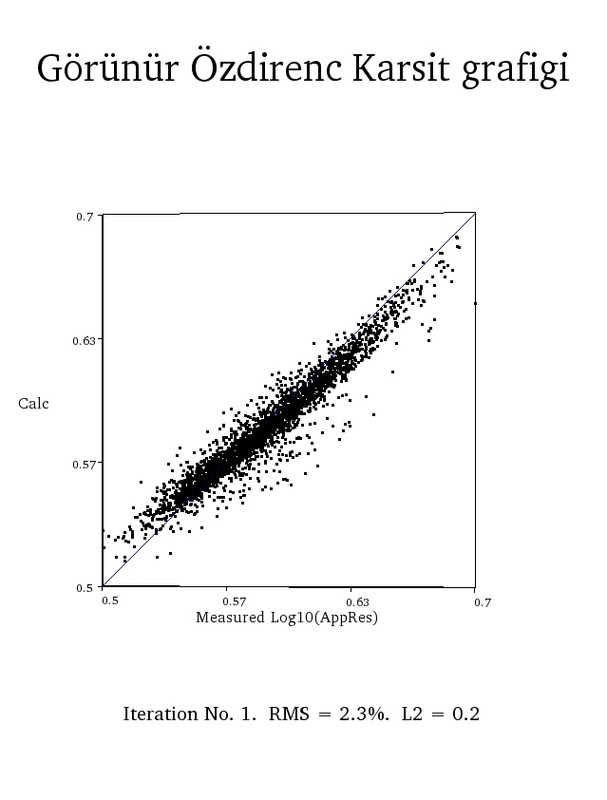 You can also use this method to locate bulk aggregate material—rocks, gravel, sand, etc.—for construction use or for locating water in any application underground.